There are dozens of available assessments relevant to word reading and spelling skills, so this list is in no way comprehensive, but I hope includes useful information. Please let me know if you think I’ve omitted a really great test, particularly a cost-effective or free one. The Dynamic Indicators of Basic Early Literacy Skills (DIBELS) assessments cover phonemic awareness, phonics, vocabulary, comprehension and fluency, and are freely available from a University of Oregon website. Designed for rapid screening and progress monitoring in primary schools. School Entry Alphabetical and Phonological Awareness Readiness test (SEAPART): Individual, criterion-referenced test of phonological awareness and early alphabetic knowlege for children about to start, or who have just started school. Takes about 10 minutes. By Australian Speech Pathologist Roslyn Neilson. 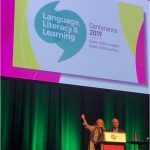 Foundations of Early Literacy Assessment (FELA): Individual, criterion-referenced test of phonological awareness and the alphabetic principle suitable for early primary school children. Takes about 30 minutes). By Australian Speech Pathologist Roslyn Neilson. Rosner Test of Auditory Analysis Skills: free and takes 3 minutes, contains very general normative information, for use with early years students (about ages 5 to 8). Lindamood Auditory Conceptualisation Test: standardised, for ages 5:0 to 18:11, takes 20-30 minutes, available in Australia from Pearson, Pro-Ed, and ACER (please compare prices). Phoneme Substitution Screener: free on the 95% Group’s website, this assesses advanced phonemic awareness skills required for orthographic mapping, and thus building a sight vocabulary and becoming a fluent reader. 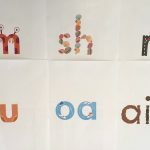 Sutherland Phonological Awareness Test – Revised (standardised, takes 10-15 minutes, for grades 1-4), is another Australian test by Speech Pathologist Roslyn Neilson, also available from ACER. The Phonemic Awareness Literacy Screening is actually three tests – for preschoolers, school beginners and older primary school children – designed for class teachers to use with all their students. The Comprehensive Test of Phonological Processing 2 (CTOPP-2) is a standardised 40-minute test for clinicians to administer to individuals aged 4:0 to 24:11 years. Provides information about phonological processing skills, phonological/auditory memory and rapid automatised naming skills. Burt Reading Test and Administration instructions: standardised, on Reading Reform Foundation website, for non-commercial use only. MOTIF Castles and Coltheart 2: free, standardised, assesses both real and non-word reading, separates regularly spelt words from words containing unusual spellings. Test of Word Reading Efficiency 2: standardised US test for individuals aged 6:0 to 24:11 years. Tests efficient reading of real words and pseudowords. Takes about 5 minutes. Great for identifying those who can decode but still need to work on their instant word recognition/fluency through lots of reading practice, if necessary first developing advanced phonemic awareness/phonemic proficiency. Australian norms for the TOWRE are here. The UK Phonics Screening Check: criterion-referenced assessment for UK children in the middle of their second year of schooling which assesses their ability to read real words and pseudowords. Previous versions are available free online, here’s the 2017 version. It should not be used as a substitute for a formal, standardised test, but there is an affordable, user-friendly app called Nessy Reading Challenge available for both iPad/iPhone and Android from which you can get an idea of a child’s reading ability, and suggested things to work on. MOTIF Castles and Coltheart 2: free, standardised, Australian, assesses both real and pseudo word reading in children aged 6:0 to 11:6 years. You must be a professional and create a MOTIF account to access it. Has an online version that writes its own report. Diagnostic Reading Test for Nonwords: free, nonstandardised, you must be a professional to download it. The Martin and Pratt Nonword Reading test sadly seems now to be out of print. As mentioned above, the Test of Word Reading Efficiency 2: is a standardised US test for individuals aged 6:0 to 24:11 years, and includes pseudo-words. Takes about 5 minutes. Australian norms for the TOWRE are here. 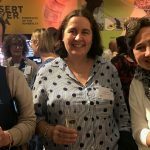 The UK Phonics Screening Check: criterion-referenced assessment for UK children in the middle of their second year of schooling which assesses their ability to read real words and pseudo-words. Previous versions are available free online, here’s the 2017 version. Single Word Spelling Test: UK, actually nine standardised tests for ages 6-14, you must be a professional to buy it. MOTIF Diagnostic Spelling Test – Sounds: free, nonstandardised, tests 32 sounds, you must be a professional to use it. MOTIF Diagnostic Spelling Test for Irregular Words: free, nonstandardised, you must be a professional to use it. Schonell Spelling Test: on Reading Reform Foundation website, for non-commercial use only. My own low frequency word spelling test is intended to help you explore what patterns learners know, and what they still need to learn. It is not a substitute for a standardised test. MOTIF Diagnostic Spelling Test for Nonwords: free, nonstandardised, you must be a professional to download it. Astronaut Invented Spelling Test – 2: individual or group, standardised, takes 10 minutes. 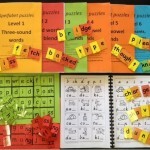 By Australian Speech Pathologist Roslyn Neilson, assesses phonemic awareness and early spelling knowledge. Available from Ros herself, DSF WA and ACER. MOTIF Letter Identification Test: free, nonstandardised, assesses both upper and lower case letter knowledge, you must be a professional to download it. 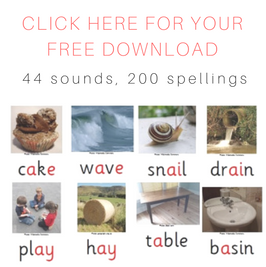 MOTIF Letter Sound Test: free, tests 51 graphemes, includes normative data for the first four years of school, you must be a professional to download it. School Entry Alphabetical and Phonological Awareness Readiness test (SEAPART): as mentioned above, assesses phonemic awareness as well as early alphabetic knowledge. Difficulties with Rapid Automatised Naming are strongly associated with persistent reading difficulties, so worth knowing about. The RAN/RAS test is a standardised assessment for ages 5-18. The Comprehensive Test of Phonological Processing 2 (CTOPP-2) mentioned above also includes RAN testing. The Clinical Evaluation of Language Fundamentals test, which most Speech Pathologists working with school-aged children have, includes an assessment of Rapid Automatised Naming. The Children’s Test of Nonword Repetition takes four minutes, has norms for ages 4-8, is simple enough for even preschoolers, and doesn’t disadvantage children whose home language isn’t English or children who’ve hardly seen a book and don’t know what a rhyme is. Poor non-word repetition is quite a good predictor of language and reading difficulties. The Comprehensive Test of Phonological Processing 2 (CTOPP-2) mentioned above has a non-word repetition subtest. As mentioned above, the Test of Word Reading Efficiency 2: is a standardised US test of real word and pseudoword reading for individuals aged 6:0 to 24:11 years. Takes about 5 minutes. Australian norms for the TOWRE are here. Multilit’s Wheldall Assessment of Reading Passages is a one-minute benchmarked (not standardised) test of oral reading fluency for children in Years 2-5 which teachers can use. Multilit’s Wheldall Assessment of Reading Lists is a one minute assessment of Year 1 and 2 reading fluency that can also be used by teachers. 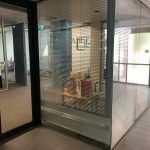 The York Assessment of Reading Comprehension is a comprehensive, individually-administered reading test which has now been standardised in Australia. There is a version for primary school-aged children and another for secondary school age. The free DIBELS assessments cover a range of literacy skills across the primary school years, and are widely used in the US. The Abecedarian Reading Assessment is another fairly comprehensive assessment of early reading skills from the US which is available free online. The Predictive Assessment of Reading is a high-quality standardised US screening tool designed to identify children needing extra help with reading. The Aimsweb and PALS screeners also have proper data to back them up. Many standardised assessments of phonemic awareness and decoding/encoding skills are incorporated into major psychological or language tests, and you have to be a Psychologist or Speech Pathologist to use them, so I won’t go into their details here, but if you’re seeing a Psychologist or Speech Pathologist they will be able to tell you about each of the tests they use. 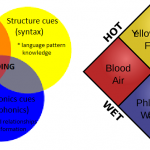 Many synthetic phonics programs have their own placement tests, for use in deciding where to start on their program, for example the Jolly Phonics Reading Assessment, and the Ridgehill Synthetic Phonics Placement Tests. If you’re investigating getting such a program, check whether it includes assessments like these. Intensive individual support and intervention for anyone whose problems are severe/ongoing. RTI is the best way to make sure that all children are able to achieve to their literacy potential. The US-based National Center on Response To Intervention website contains lots of information about how to implement an RTI approach. Hi Alison, just wandering why the MOTIF screeners have been crossed of your list. We are currently looking at screeners and want to make sure that we choose the right ones.